For the 23rd year, Country Thunder is back in Florence, Ariz.; named Festival of the year last year by the Academy of Country Music. FLORENCE, Ariz. — For the 23rd year, Country Thunder is back in Florence, Ariz.; named Festival of the year last year by the Academy of Country Music. Country Thunder runs from April 11th to the 14th, opening at noon and closing at 2 a.m. until Sunday night. For people attending the event, Pinal County Emergency Management encourages them to sign up for text message system they can sign up for to keep informed on weather, traffic, venue maps, performance times, etc. 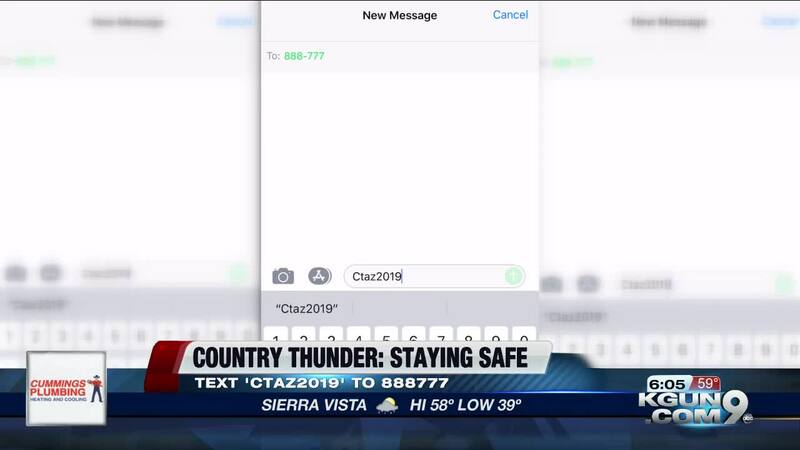 Text CTAZ2019 to 888777 to recieve these messages.